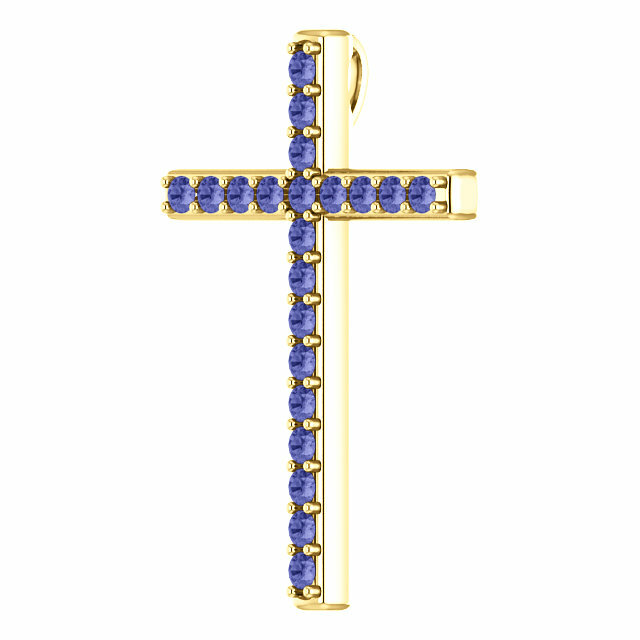 This genuine tanzanite cross pendant crafted in gold is a beautiful, symbolic reminder that Jesus built His church upon the Rock. "And I say also unto thee, That thou art Peter, and upon this rock I will build my church; and the gates of hell shall not prevail against it" (Matthew 16:18). Who is the Rock, but Jesus Christ Himself? The church was built on the solid foundation of our Lord and Savior Jesus Christ Himself. 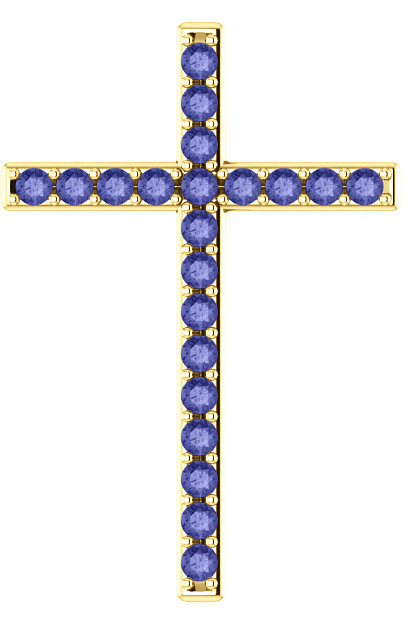 The cross holds a total of 21 genuine tanzanite gemstones that measures 2mm in size each and are "A" rated in quality. The cross includes a bale/hoop which is designed to be hidden behind the pendant, so as not to detract from the beauty of the tanzanite gemstones disaplyed on the cross when worn. Pendant measures 1 1/4" tall x 0.85" wide. Add a matching solid gold cable chain to turn it into a cross necklace or wear it with one of your own choosing. Also available in white gold sterling silver, shown below. 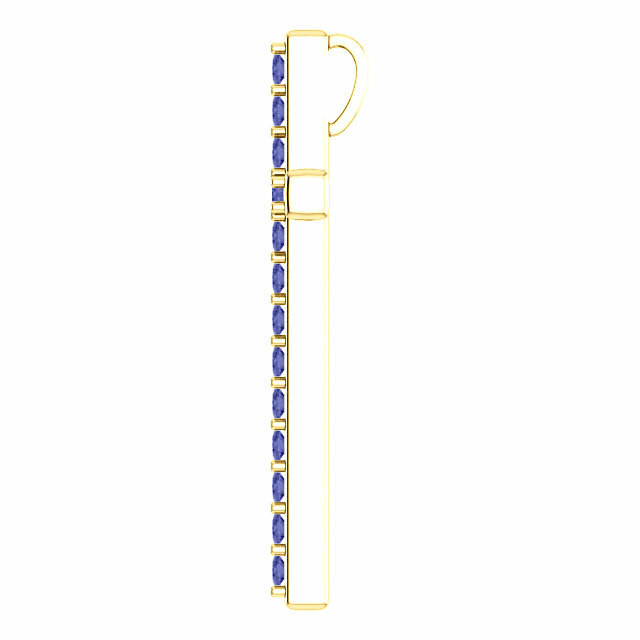 We guarantee our Upon This Rock Tanzanite Gold Cross Pendant to be high quality, authentic jewelry, as described above.